We are aware of how important water has become in today’s conditions where a clean drinking water supply is decreasing constantly. Therefore we at A.O. Smith are striving to develop technologies that will enable you to obtain top quality, healthy drinking water easily, both in your home and at your workplace. 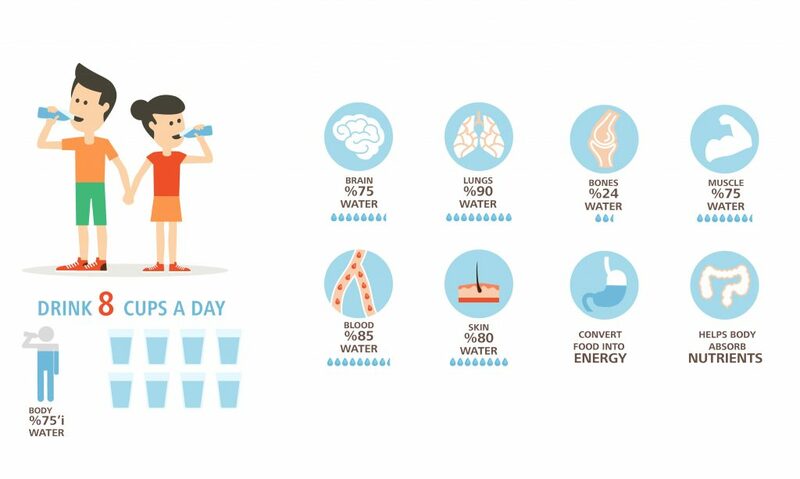 The minimum amount of water that a person should drink a day is 2 liters. However, for human life, drinking quality, clean and healthy water is just as important as the amount of water. Various contaminants and microorganisms that may be present in some mains and well waters, such as chlorine, lead, copper, sand, etc. make our water unhealthy. A drinking water treatment system clears your water of all the harmful substances. The presence of any microorganism in the obtained water is another risk. Treated water contains a little amount of calcium and magnesium ions that are required by the body. Briefly, water treatment systems enable you to obtain reliable water in terms of health. Clearing your drinking water of all contaminants that have a negative effect on its appearance, taste and odor, A.O. Smith domestic treatment systems enable you to obtain tasty, clear, odorless and fresh drinking water from the closest resource, your tap, thanks to its multi-stage filtration technology. Food is much more tasty when you cook using an A.O.Smith water treatment system, because you avoid the bad taste in your food by eliminating all the harmful and contaminating elements from your water with water treatment systems. Hot drinks such as tea and coffee, or cold drinks such as lemonade made with treated water will have their original color while retaining a natural odor and taste. Tea and coffee time will be much more tasty and enjoyable with treated water. Drinking water treatment systems will reduce the costs of your drinking water at home in the long-term. The system will pay for itself approximately at the end of first 12 months, and costs made for water will be zeroised and saved in the long-term. Also, the boiling time required to make tea or cook will be reduced with treated water since the water is purified of lime; the efficiency and operating times of electric appliances, such as tea and coffee machines and water heaters, will be increased, and thus energy savings will be achieved. Please contact our sales representatives for detailed information.